I now conclude my mini gift guide series with what some might call as homeware and stationery, but what I call the random knick knacks that make great gifts in a pinch because you literally have zero clue as to what someone would want for a gift and these seem cute? 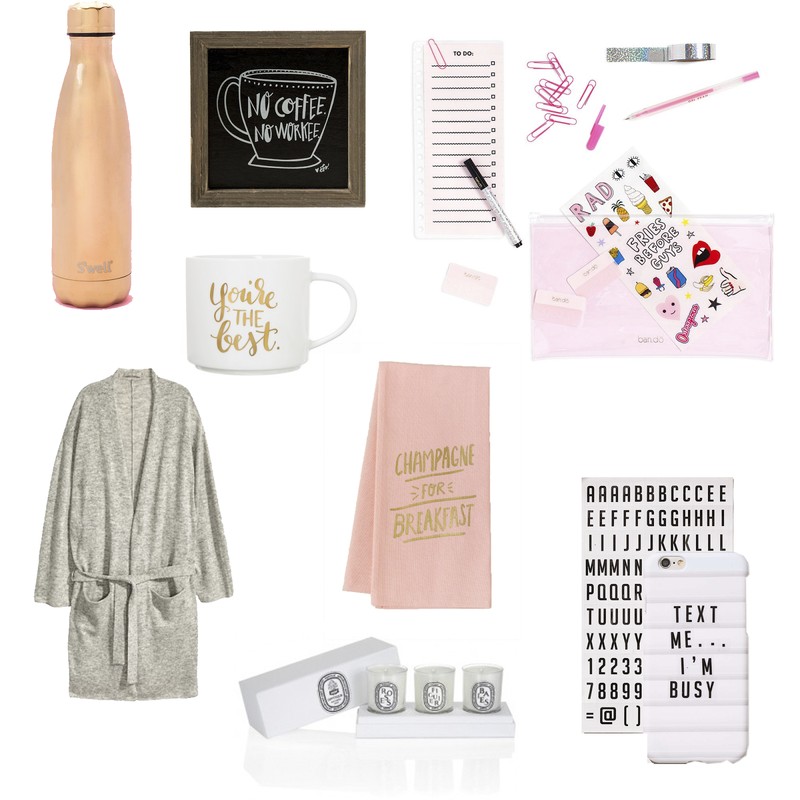 These are the gifts that you can give to literally anyone (tailor the color choices, if necessary) and it's be practical, yet super cute, and something that they probably wouldn't buy themselves or even if they did, you can't have enough of them. For example: you can't have enough mugs. You just can't. Even if you have them stacked on an entire shelf in your cupboards, it's still not enough mugs.